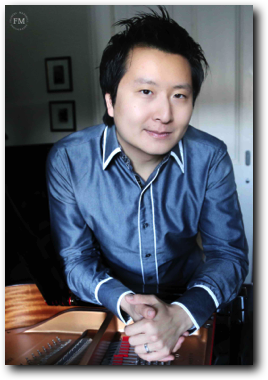 The grand gesture, whether of gorgeously full tone or daring velocity, seems to be at the heart of Chen’s approach to romantic repertoire. The eagerness with which he launched himself into the most daunting of challenges suggests a fiery temperament, and the necessary elements of technique are there to support it. Lesson with Archie Chen. This was on the first day of the course and as a result I think I was at my most nervous for this lesson, but I enjoyed the lesson very much, particularly as Archie clarified something which has bothered me for a few years (I have occasionally received negative comments in the past for playing unsteadily). I also admired the way that Archie could instantly give witty and imaginative readings of specific passages, suggesting ideas I would never otherwise have imagined. Lesson with Archie Chen on the W.A. Mozart "Jeunehomme"Concerto. Again, a few ideas,enriched my playing. It helped the expressivity and the playing legato, in virtuoso parts of the 3rd mov. Also Archies natural way of approaching the piano, had an influence. I also really enjoyed the lesson and masterclass with Archie Chen, it was very interesting, informative and challenging! 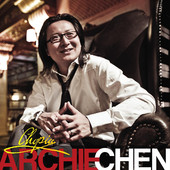 Find Archie Chen's recordings on iTunes.